Includes a Foreword by Professor Peter Freebody. In most Australian schools, there are significant numbers of students who are failing to learn effectively. They underachieve in all or some of the basic skill areas of the curriculum. Concerns regarding the most appropriate methods with which to address the needs of these students remain widespread amongst teachers. This book examines the findings from local and international evidence-based research, with particular reference to meta-analyses deriving largely from the fields of educational psychology. 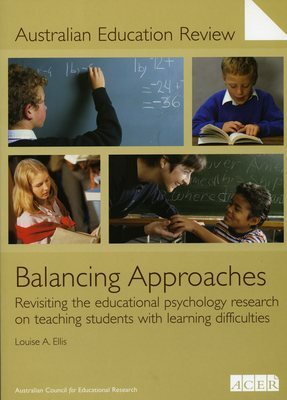 The author identifies and illustrates methods that are effective for a wide range of students in mainstream classrooms, but which are especially powerful for students with learning difficulties.